A facile and convenient approach for the preparation of interconnected multiwalled carbon nanotube (MWCNT) monolithic sorbents in recycled plastic caps has been developed. The method, which was based on the photopolymerization of the individual MWCNTs via the formation of a W/O medium internal phase emulsion (40/60 w/w%), provides control over the size of pores, rigidity, and the mechanical stability of the final solid. Pluronic L121 was used as a surfactant containing the water phase inside it and, consequently, the organic and non-polar phase, in which the MWCNTs and the cross-linker were trapped, remained on the outside of the droplets. Optical microscopy and scanning electron microscopy (SEM) were employed to characterize the morphology of both the emulsions and the final solids, respectively. In addition, nitrogen intrusion porosimetry was performed in order to study how the specific surface area of the final monolithic solid changed (from 19.6 to 372.2 m2 g−1) with the variables involved in the polymerization step. 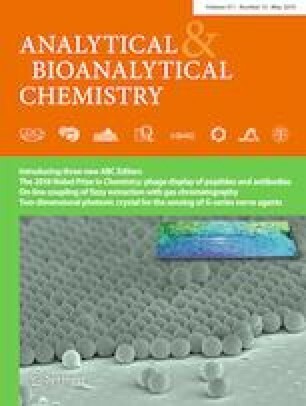 To exemplify the great sorbent potential of the synthesized material, a colorimetric assay based on the retention of methylene blue within the interconnected MWCNT monolithic structure was carried out. 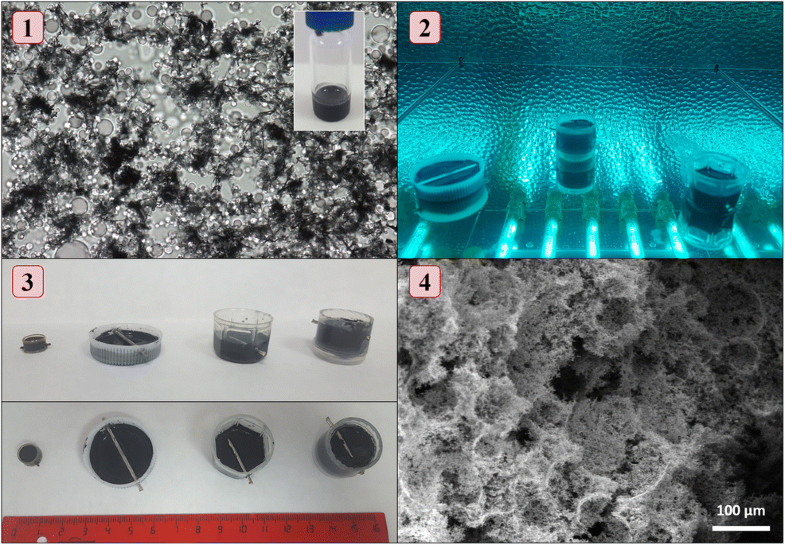 Finally, following the positive results, the carbon nanotube-monolithic stirred caps were applied for the determination of chlorophenols in a biological matrix such as human urine, obtaining excellent recovery values (91–98%) and good precision (5.4–9.1%) under optimized extraction conditions. The online version of this article ( https://doi.org/10.1007/s00216-019-01795-1) contains supplementary material, which is available to authorized users. The authors would like to thank the Central Service for Research Support (SCAI) of the University of Córdoba for the service provided to obtain the micrographs. Financial support from the Spanish Ministry of Science and Innovation (CTQ2017-83175R) is gratefully recognized. Informed consent was obtained from all individual participants involved in the study. The study has been approved by the appropriate ethics committee (Comité de Ética de la Investigación de Córdoba) and has been performed in accordance with the ethical standards.